The sale is on! 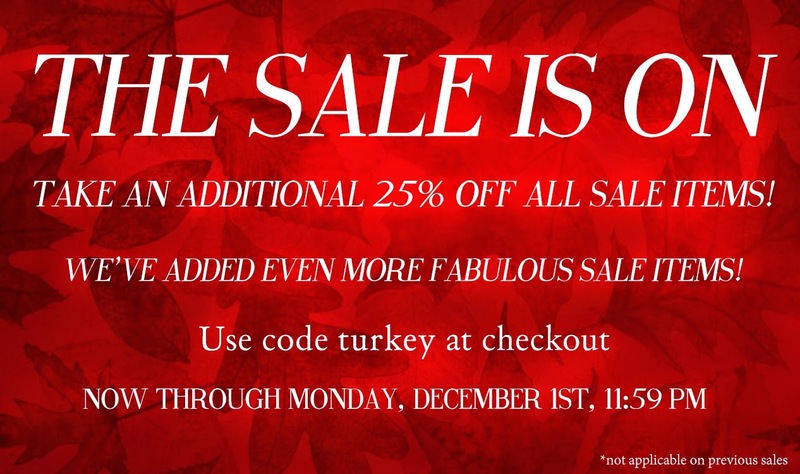 Get an additional 25% off all sale items when you use coupon code turkey between now and Monday December 1, 11:59 pm. We've sweetened the deal by adding a bunch of awesome new mark downs to our sale page! What are you waiting for? !